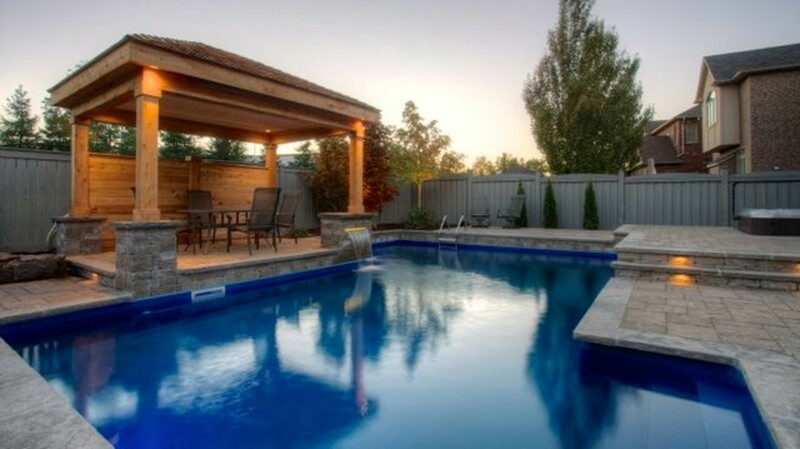 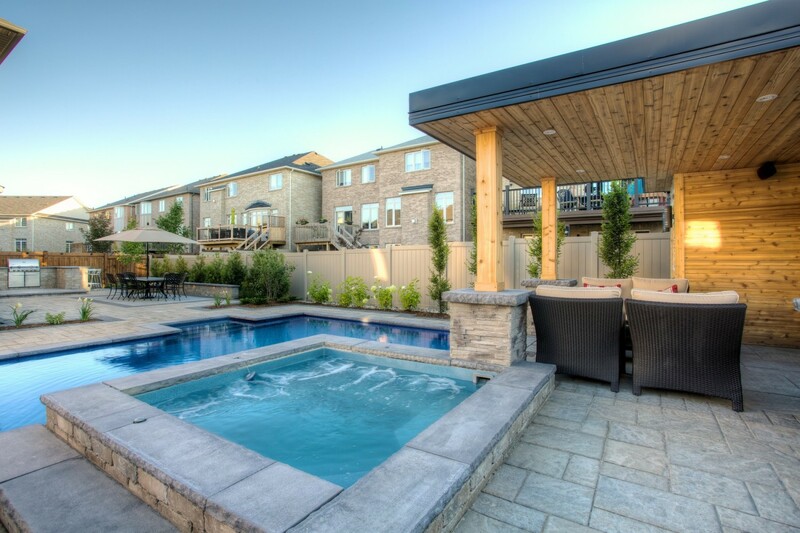 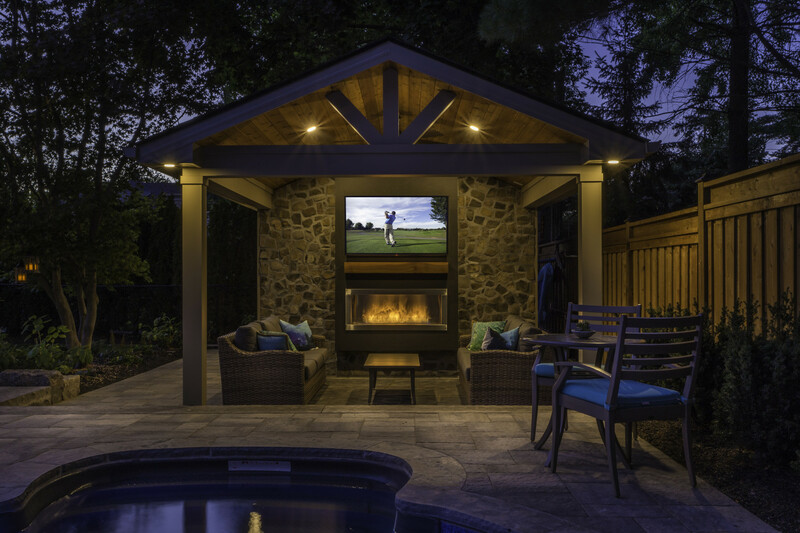 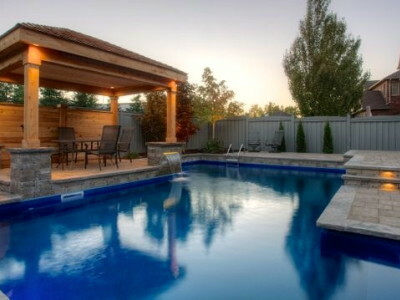 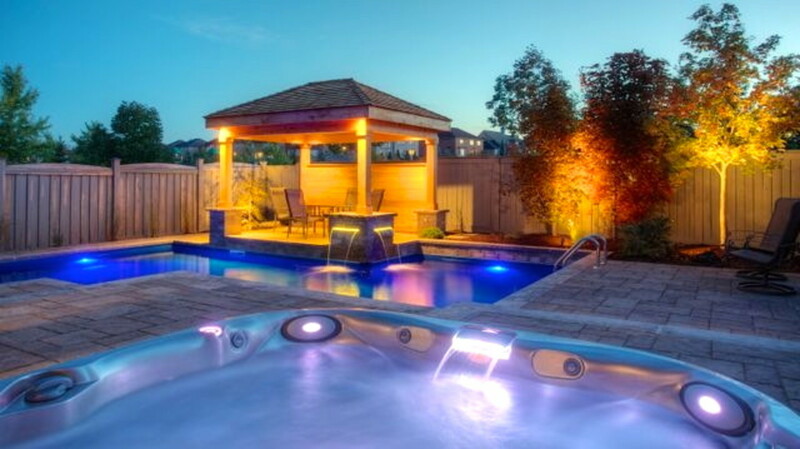 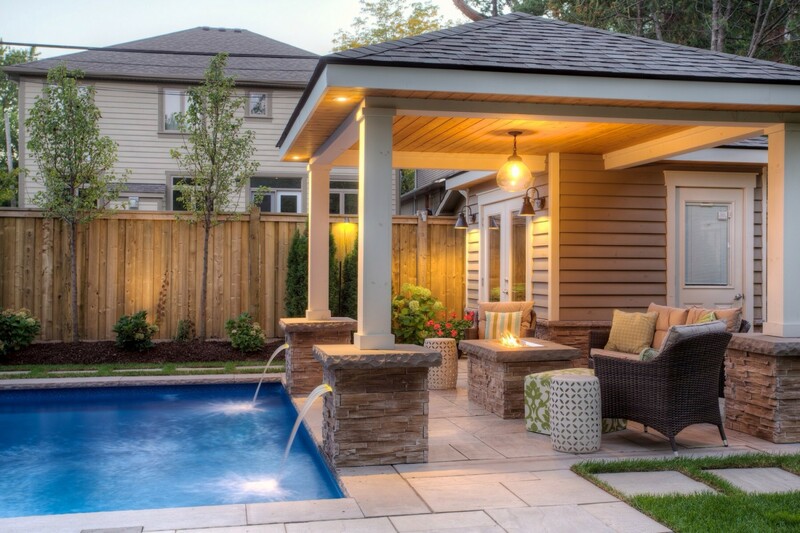 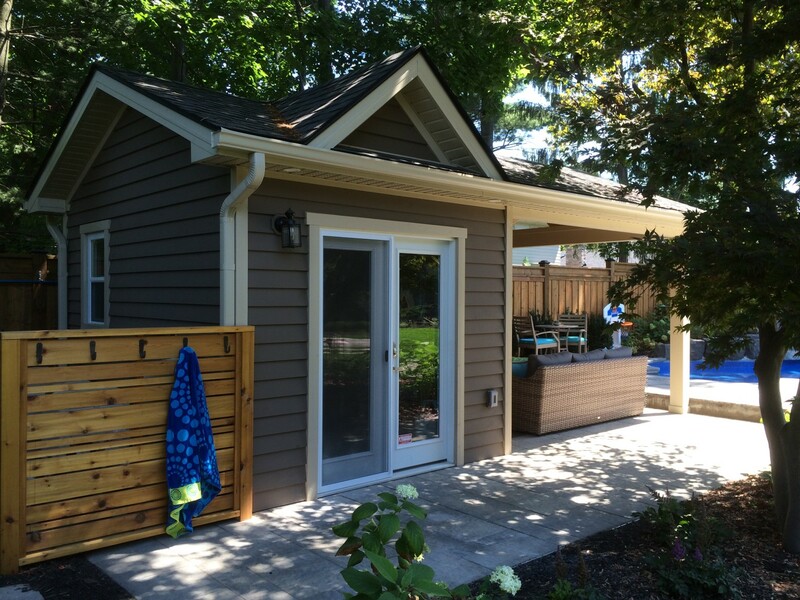 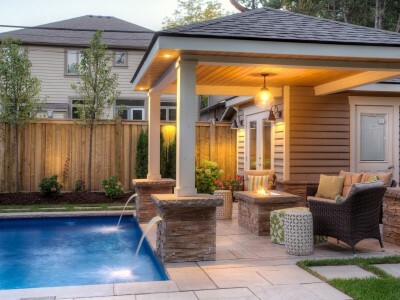 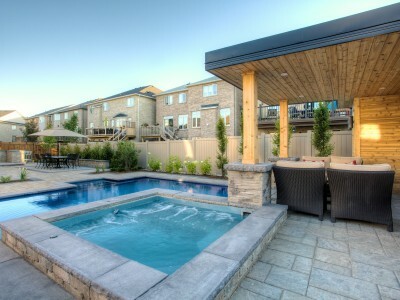 Extend your leisure living to the outdoors and do it with style! 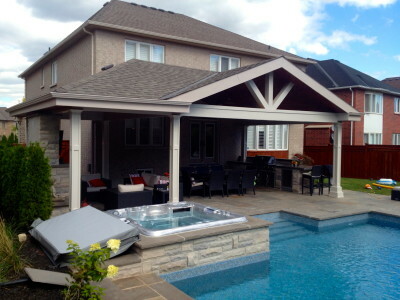 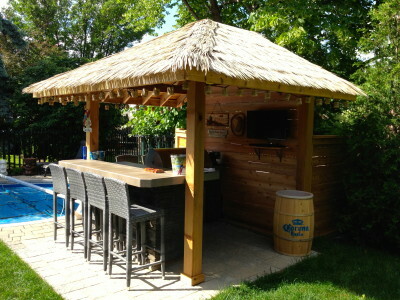 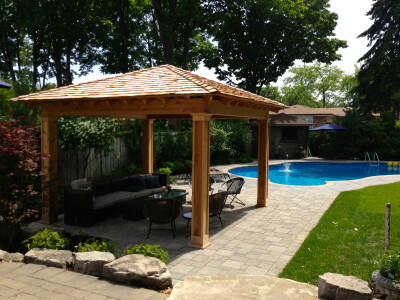 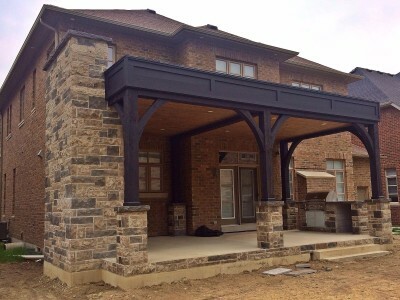 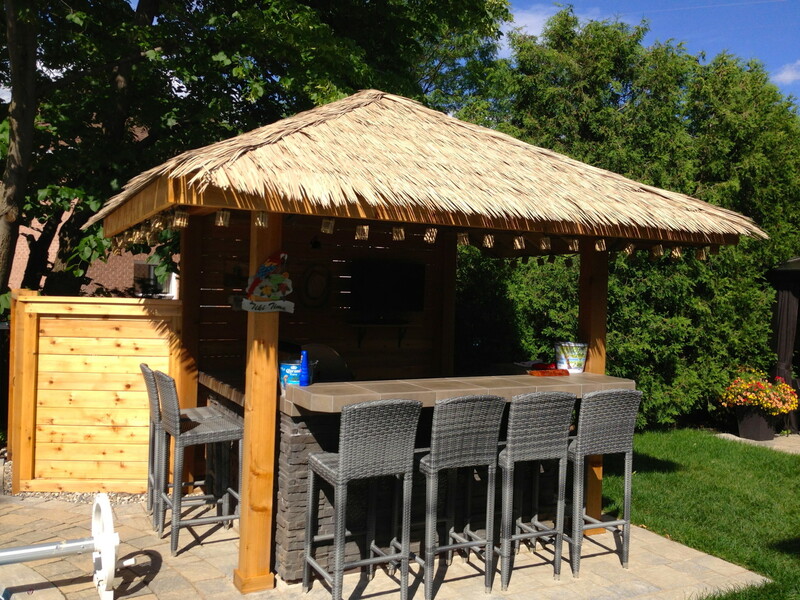 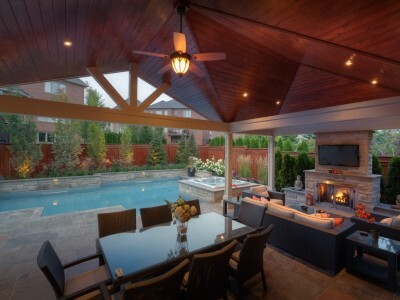 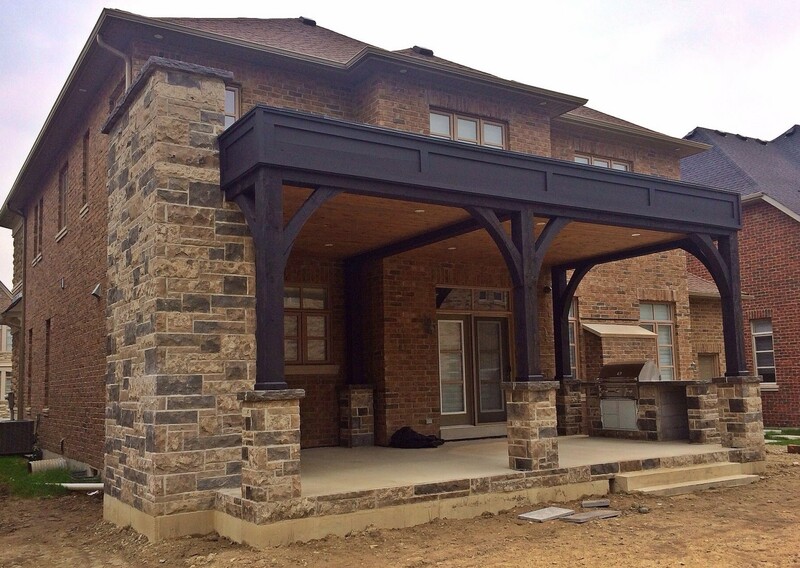 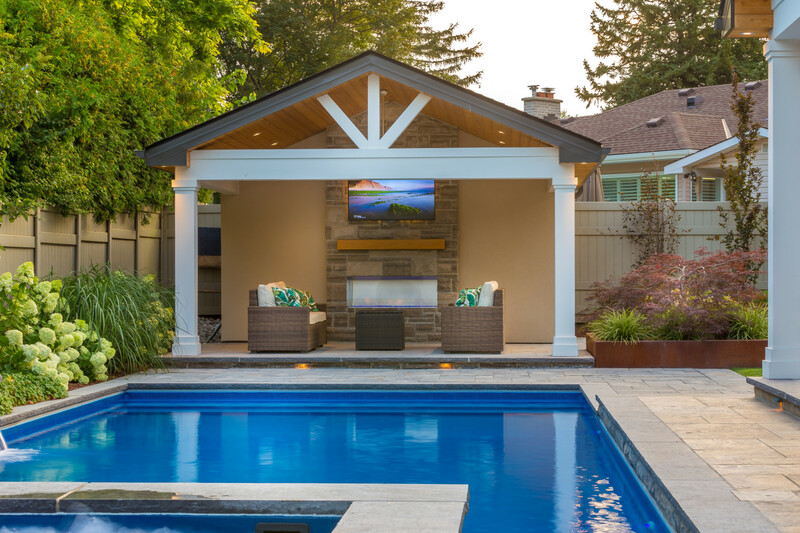 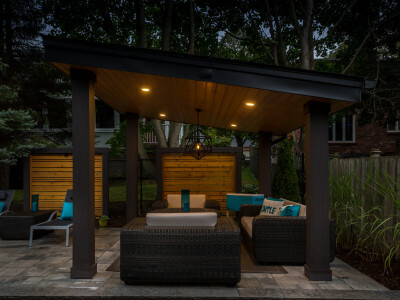 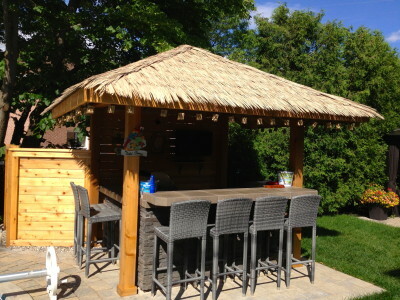 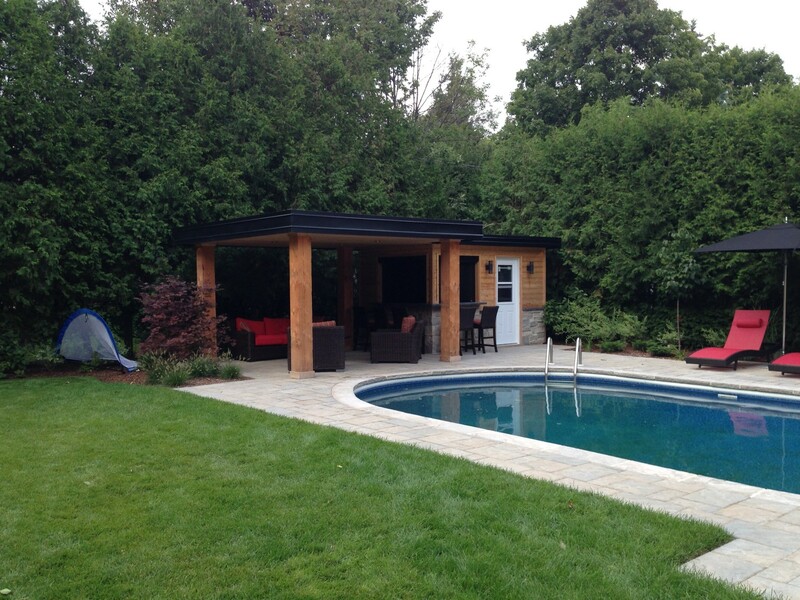 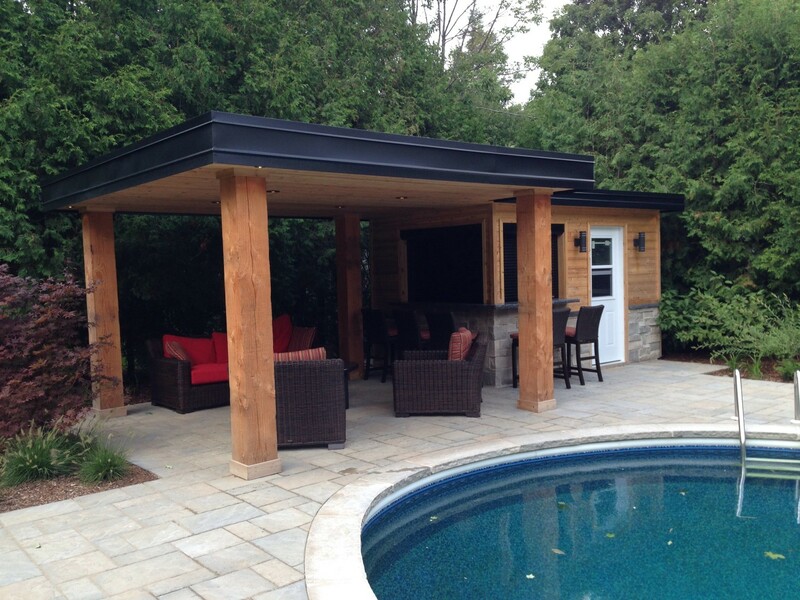 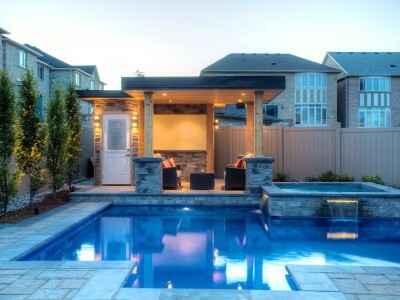 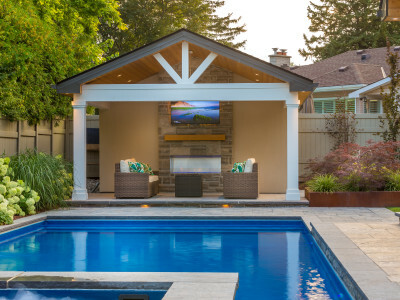 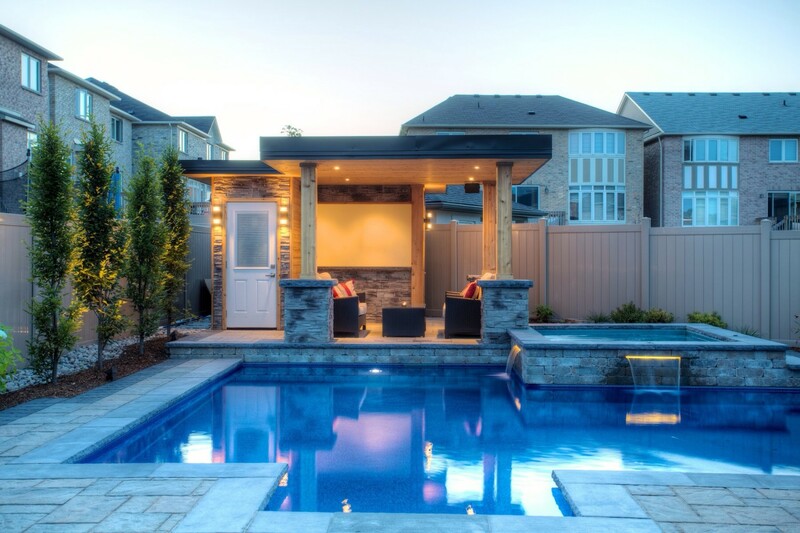 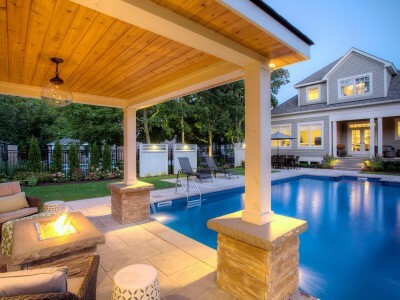 Pavilions are a dramatic addition to any landscape and they are all about living well. 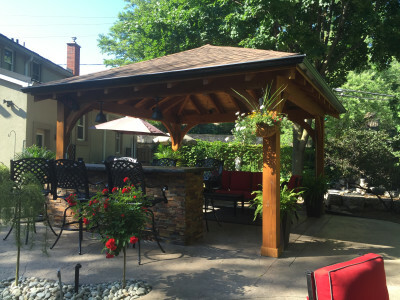 They are an open-aired structure, usually bigger than the gazebo, with a closed in roof and all (or any number of) walls open to the outdoors. 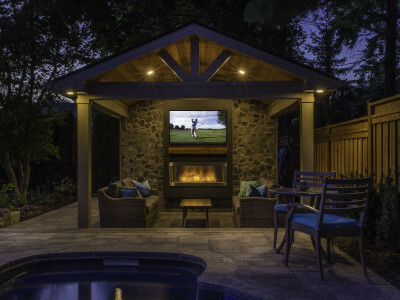 This allows for the increasingly important need to connect with the outdoors, but still have all the luxuries of indoor living. 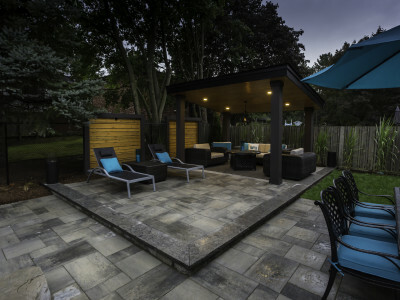 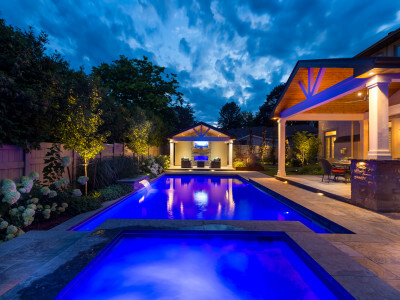 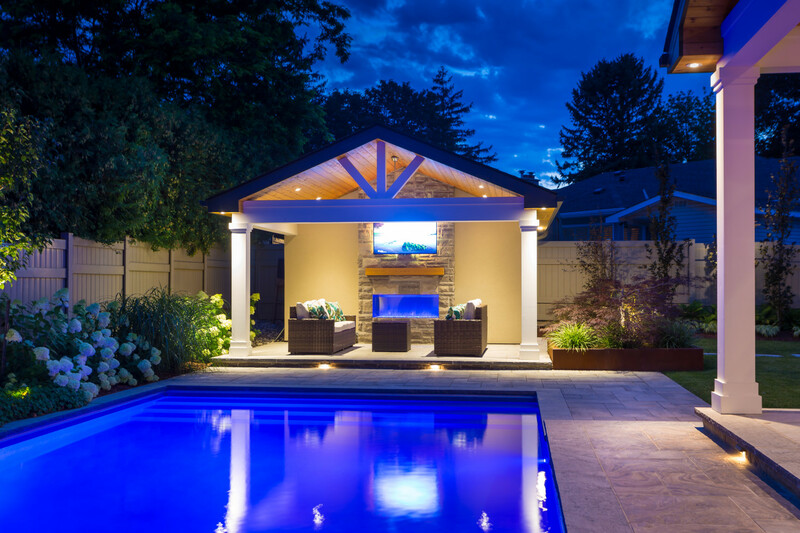 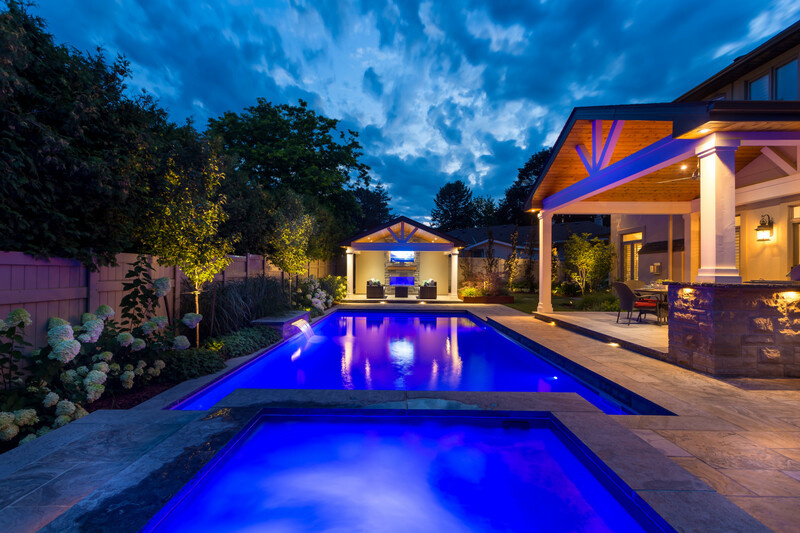 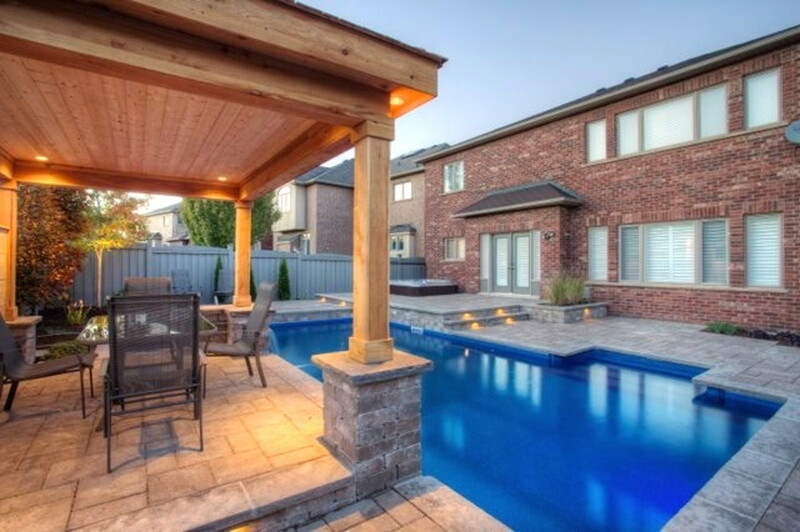 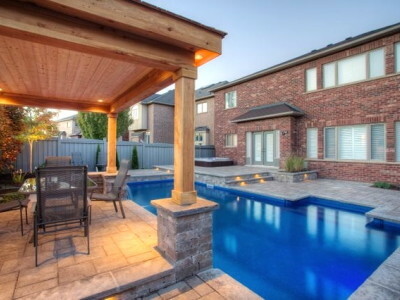 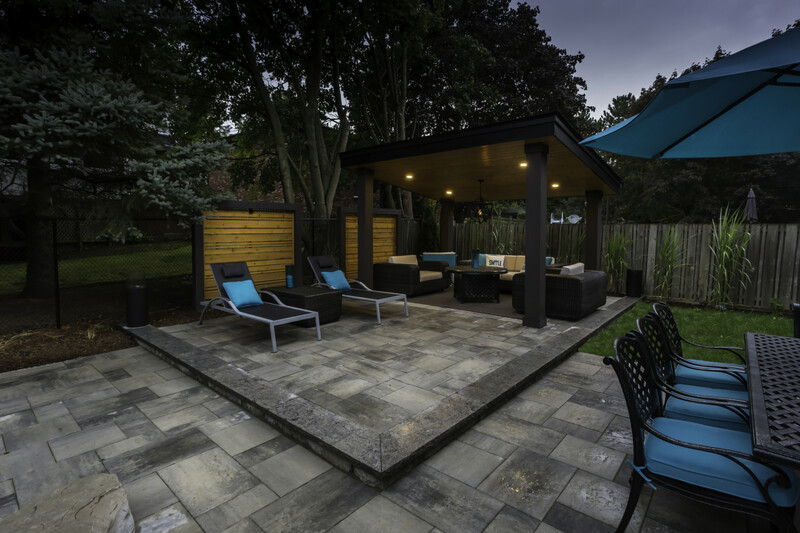 We work carefully with our landscape contractors to create structures that suit both the outdoor landscape/architecture and interior styling, so that the space is a true extension of home and homeowner. 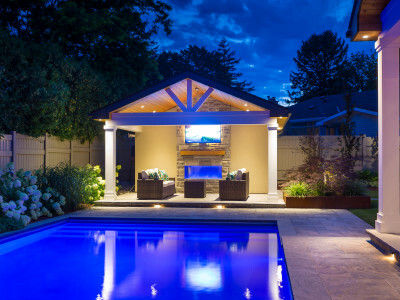 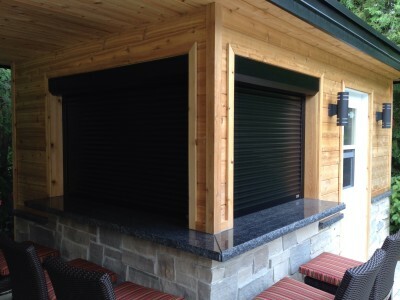 We can easily equip pavilions with electricity and/or gas for for lighting, entertainment systems and appliances. 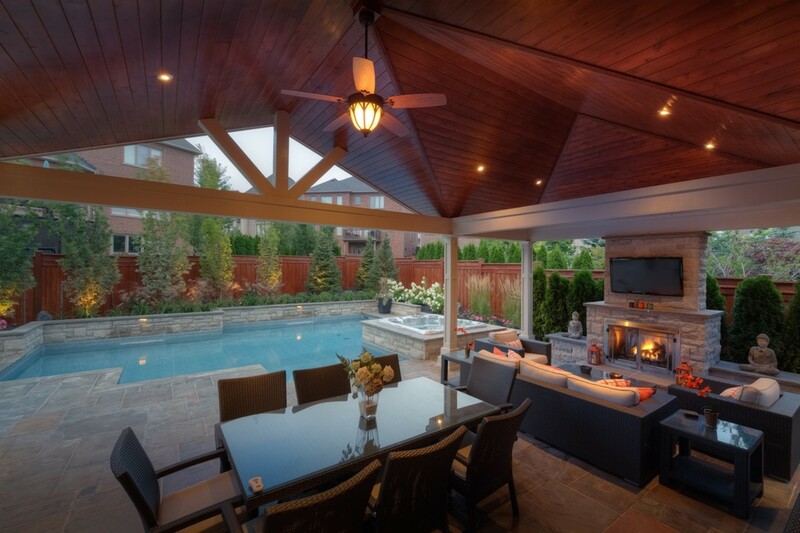 Building for year-round use, can mean including features like retractable window walls, heated flooring and heating units.